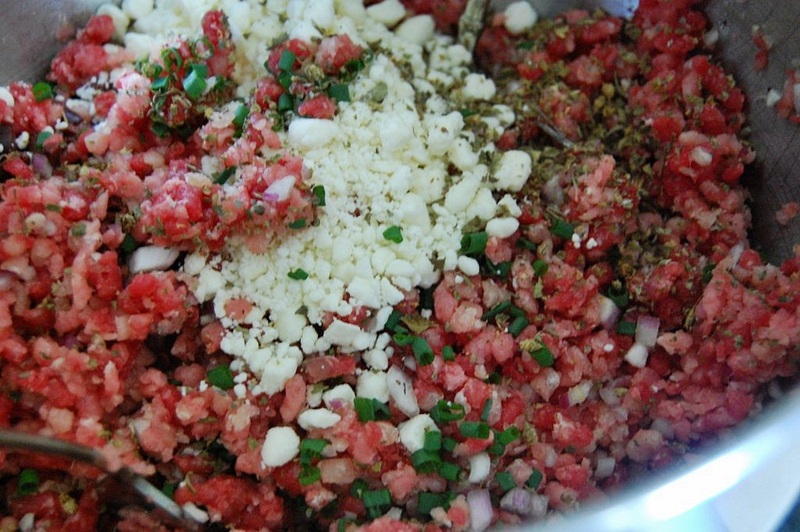 A really nice change from plain old burgers if you like Greek flavors and these burgers go nicely with potato salad, a bonus recipe and family favorite. If you like to bake, try the onion buns recipe over at King Arthur, they are really good. Enjoy! 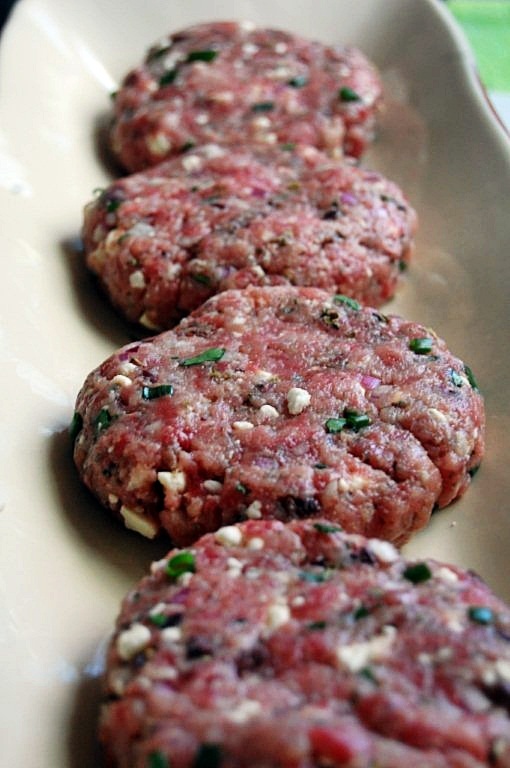 Blend ground meats with all of the ingredients; form into 6-7 ounce patties grill. 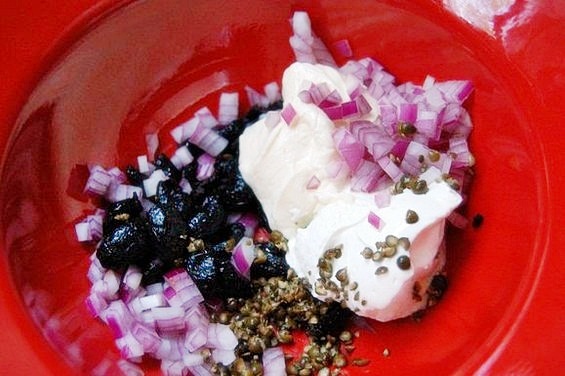 For the Dressing: Consider substituting Greek yogurt for the sour cream. 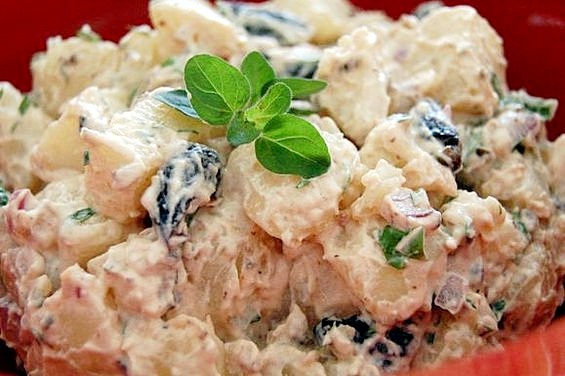 Combine the potatoes, olives, onion and parsley. Mix together the ingredients for the dressing and toss the dressing with the potato mixture.